The Grenfell Historical Society located in St. Anthony collects, preserves, and exhibits artifacts, documents, and infrastructure that relate to Dr. Grenfell. The Society was awarded a $21,200 IGA Grant to help with their rehabilitation of the Grenfell Properties. The project will include replacing the wharf at the entrance to the floating dock and constructing a “tea shack” at the top of Tea House Hill. In commemoration of 125 years since Dr. Grenfell’s arrival, the Grenfell Historical Society will host a guided tour ending at the top of the hill. Travelers will be able to experience tea time “similar to how it was done in Grenfell’s day”. 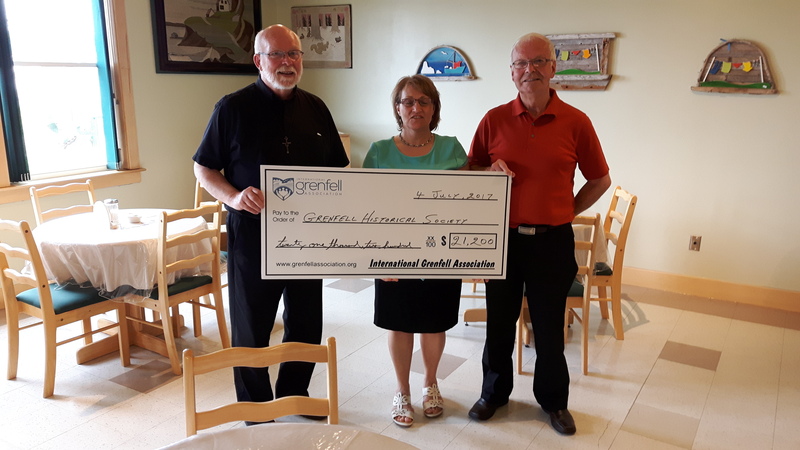 Pictured above (L-R) are: Reverend John McGonigle (Grenfell Historical Society Board), Ms. Cynthia Randell (Grenfell Historical Society Manager), and Mr. Edward Goudie (IGA Director).